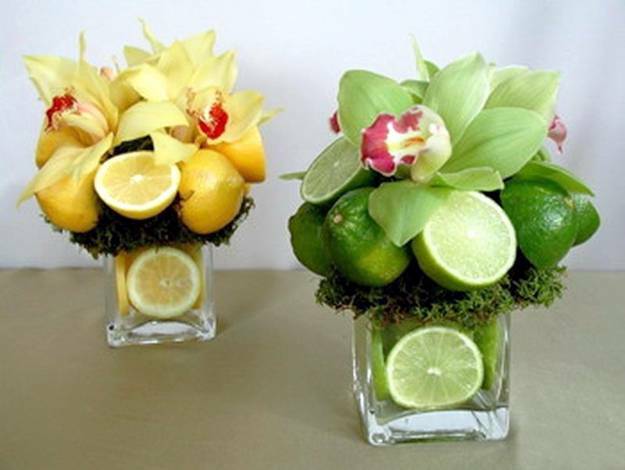 Beautiful floral arrangements make perfect table centerpieces, home decorations and gifts. 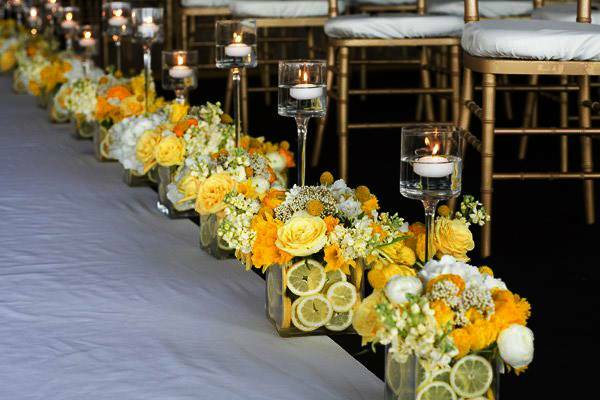 No matter what the occasion is, a colorful floral arrangement with lemons will fill the room with aroma and beauty, express your feelings in a special ways and create striking and unique dining table decor. 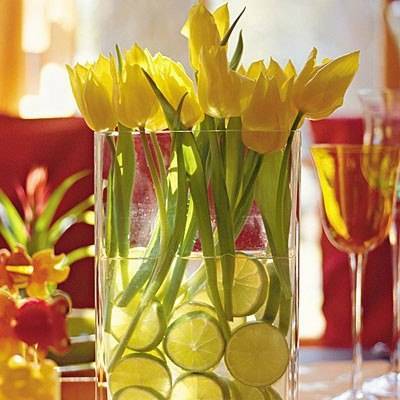 Decor4all shares fabulous ideas for floral arrangements with lemons that brighten up table decoration by adding strong contrasts of warm yellow color and green colors. 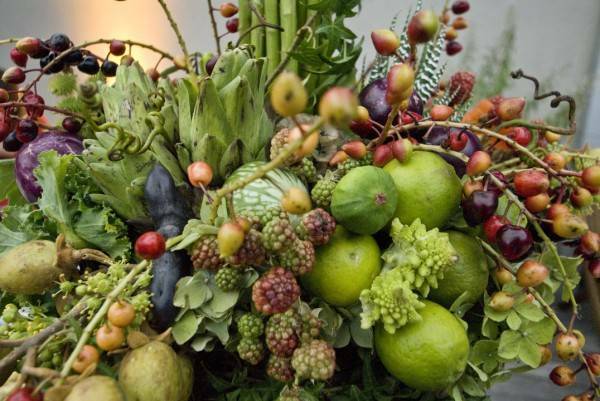 These elegant floral arrangements show off the amazing style and creativity and offer great alternatives for table decoration with flowers and fruits. 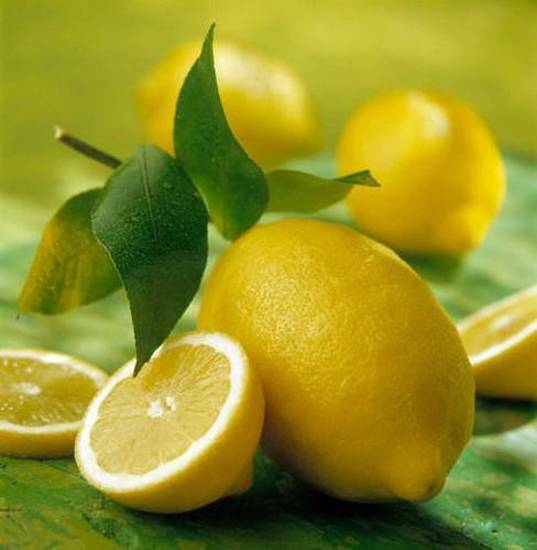 Floral arrangements with lemons are especially fragrant and bright. 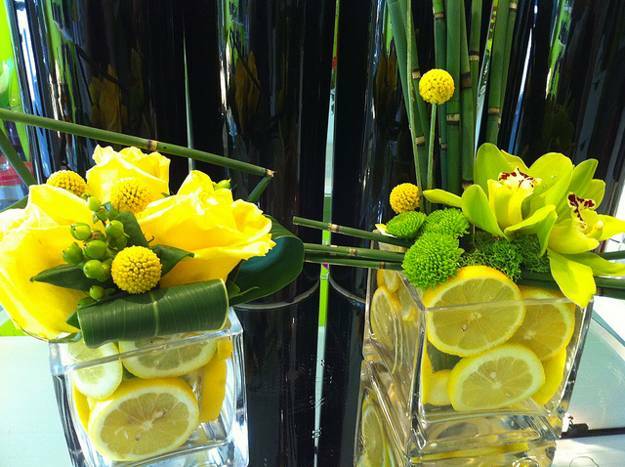 They create a warm and fresh atmosphere and please the eye with interesting designs. 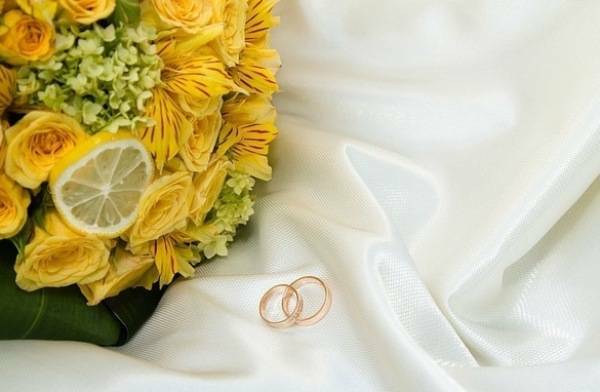 White, yellow and red flowers can be combined with lemons and green leaves for a romantic setting. 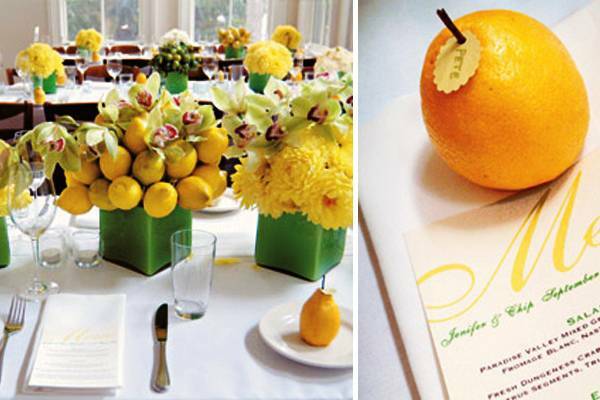 While and colorful floral arrangements with lemons create beautiful table decoration and add warm accents to room colors. 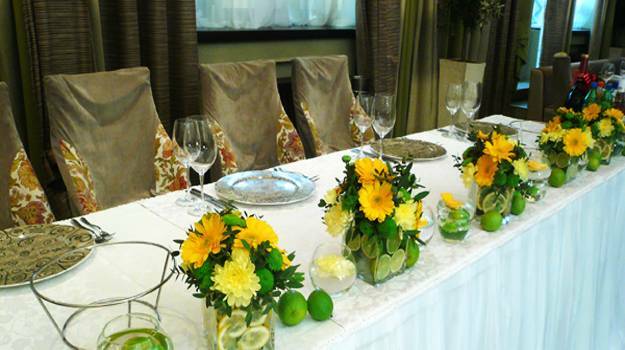 A well done floral arrangement looks gorgeous, but needs an accent that create interest and unforgettable look. 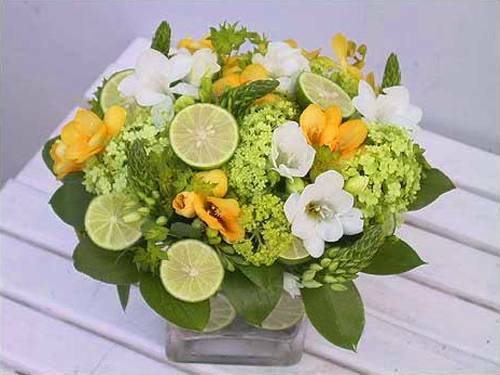 Creative combinations of fresh flowers, lemons and green leaves offer different ways to express an individual taste, a sense of style and personality. 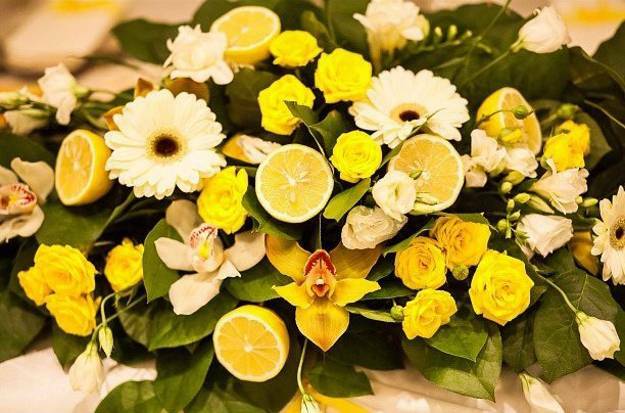 Fresh and colorful floral arrangements with lemons or limes celebrate yellow and green colors and create very bright ad artistic table centerpieces, home decorations and gifts. 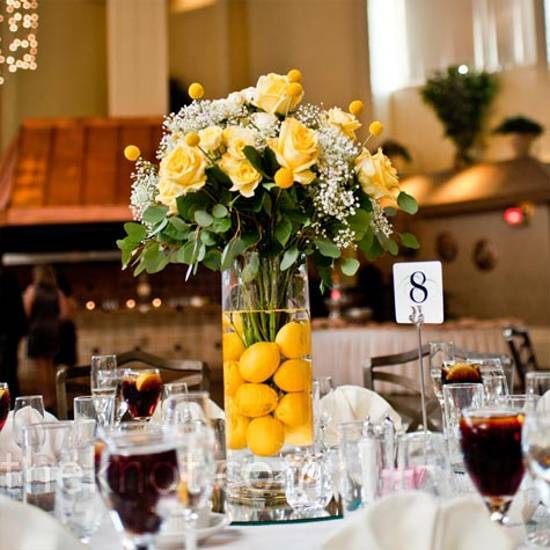 Lemons add a casual touch, different shapes, texture and bright yellow color to formal floral arrangements and create warm and inviting atmosphere. 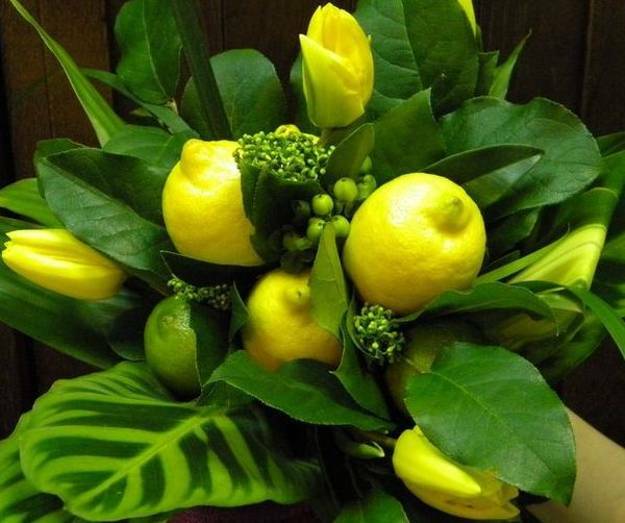 Fresh floral arrangements can be formal and casual, but they all feel sunny and happy when your combine beautiful flowers with lemons. 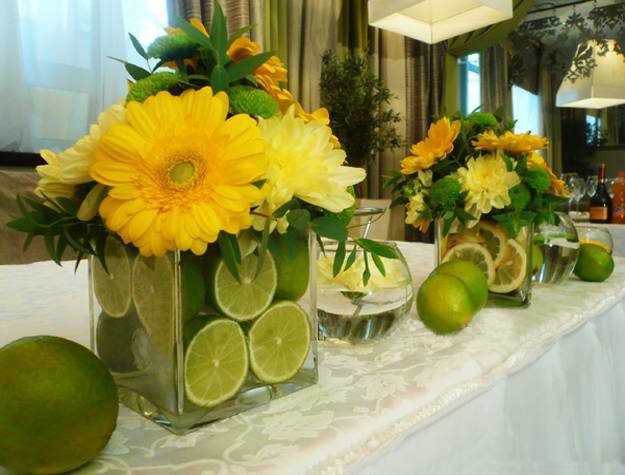 Mixing fresh flowers and citrus fruits are one of new and exciting trends in decorating and centerpiece ideas. 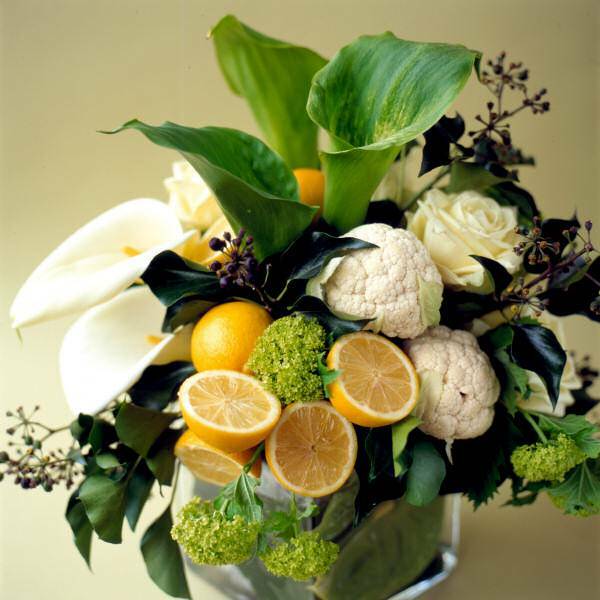 Floral arrangements with lemons add a touch of color with a uniqueness not found in ordinary flower bouquets.